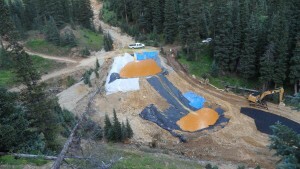 WASHINGTON — U.S. Environmental Protection Agency managers were aware of the potential for a catastrophic “blowout” at an inactive Colorado mine that could release large volumes of wastewater laced with toxic heavy metals, according to documents released by the agency. The documents, which the agency released about 10:30 p.m. eastern time, do not include any account of what happened immediately before or after the spill. The wastewater flowed into a tributary of the Animas and San Juan rivers, turning them a sickly yellow-orange color.